As the world struggles with trying to limit carbon emissions and slow the pace of global warming, there is increasing analysis of various forms of geoengineering. Often, these consist of nearly unthinkable efforts to intervene in the climate on a global scale with unpredictable and possibly catastrophic consequences. But there are targeted forms of geoengineering to deal with specific problems that might warrant serious consideration. One of the greatest dangers posed by the warming climate is the potential collapse of massive ice sheets in the Antarctic. Rapidly retreating glaciers pose a particularly major threat. Flooding waters from the Thwates glacier in West Antarctica could trigger a runaway ice shelf collapse that ultimately could raise sea levels around the world by ten feet. A new study published in the European Geosciences Union journal The Cryosphere looked at the feasibility of using glacier geoengineering to stop the flood at the source. One approach would be to build a wall underwater to block warm water from reaching the base of an ice shelf, which is very sensitive to melting. 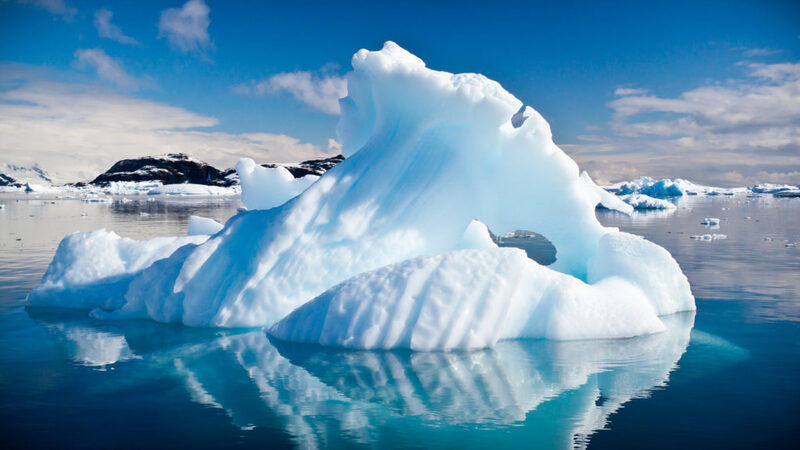 A simpler design would consist of constructing artificial mounds or columns on the sea floor that would not block the warm water but would support and hold back the glacier, helping it to regrow. The simpler project would be on the scale of existing major construction projects, but in one of the world’s harshest environments. The larger project would be on a scale beyond anything humanity has ever attempted. The scientists aren’t advocating starting these projects anytime soon. But if conditions continue to worsen in the Antarctic, humanity may be forced to consider them seriously in order to avoid a world-wide catastrophe. Photo, posted February 4, 2013, courtesy of Flickr. ‘Glacial Engineering’ from Earth Wise is a production of WAMC Northeast Public Radio.